What a relief to say that. 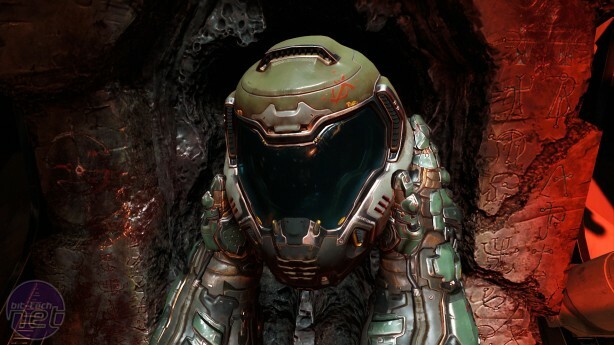 After a distinctly dodgy beta and a no copies sent out to critics prior to launch, there was the distinct whiff of a stinker about Doom in the run-up to release. This would not be surprising. Making a straight-up corridor shooter interesting in 2016 must be incredibly difficult given how the genre has been iterated on so much, with so many ideas exhausted. Indeed, the last decent traditional FPS was another Bethesda-published title, the delightfully quirky Wolfenstein: The New Order. Whereas MachineGames focussed on renewing Wolfenstein, however, the emphasis with Doom has been very much on going back to the series’ roots, or at least whatever the modern interpretation of Doom’s roots is. And there was a moment, a few worrying weeks, where it looked like id might have got it terribly wrong. Again. To be sure, there are problems. The multiplayer is distinctly unspectacular, the environment design lacks the fun and diversity of the rebooted Wolfenstein, and the idea of Doom being a no-nonsense shooter is somewhat undermined by a few unwelcome modern conventions. But the singleplayer campaign is absolutely, relentlessly riveting, sporting without a doubt the best FPS combat I have experienced in years. 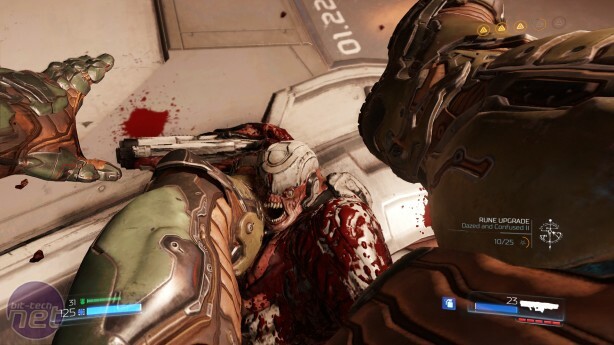 From the outset, it’s clear that DOOM is as much a response to the troubled Doom 3 as it is a harking back to Carmack and Romero’s original design. There’s no lengthy, Half-Life-imitating introduction here. Nu-Doom’s Doomguy awakes chained to what appears to be a stone altar deep in the Martian UAC facility, breaks his shackles and immediately plucks a laser-pistol from the floor. He casually pops the head of a few possessed shamblers before donning his familiar green armour, at which point the game kicks off in earnest. 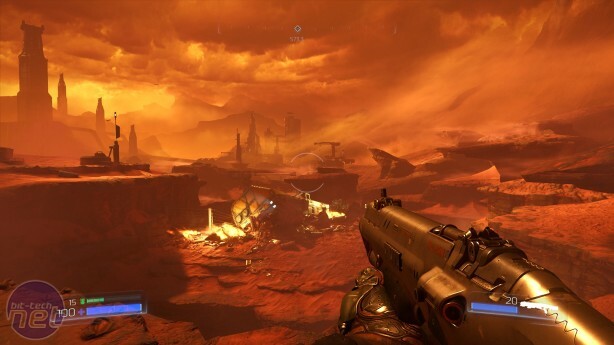 The first arena-style area you encounter more or less encapsulates Doom’s entire experience. You clear a room of demons, do an action such as press a button or destroy a “gore nest”, which inevitably triggers a much larger demon assault. You kill these, and move on. Doom repeats this very simple formula time and again, with very little in the way of any substantial distractions. 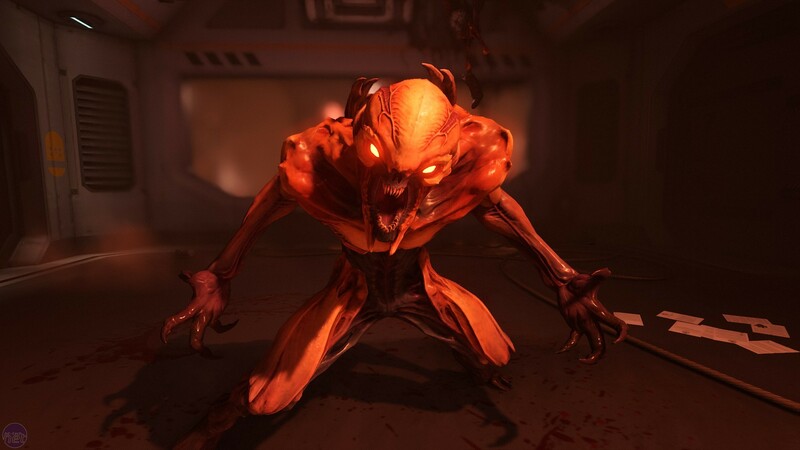 And you won’t want it any other way, because Doom’s combat is absolutely superb. Much has been made of the speed of this new Doom, and no doubt movement is extremely slick and precise, but it’s the speed of your opponents which really makes Doom such a thrill. Even the standard “unwilling” zombies can lurch forward at you in surprising bursts of nimbleness. But it’s the redesigned Imps which typify Doom’s approach to enemy design. These squat, monkey-like creatures leap about levels with incredible agility and grace, darting across platforms, rebounding off walls, flinging fireballs at you as they move. Hellknights, meanwhile, are no longer the lumbering meat-walls of Doom 3. Instead they charge at you like demonic rugby players, before leaping in dramatic arcs as they attempt to pummel you into the ground.